Dexa Resources is a design and integration company providing high quality global and regional engineering consulting. 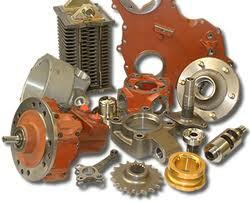 We are not a start up business, our team has have over 75 years of Hi-Tech and industrial experience. We have been in business for 10 years and our former company name was Helios Electric LLC. Our services mix a broad range of electrical, mechanical, robotics, environmental and computer engineering skills and we work on a variety of different projects across industries, individuals and academic institutions. We work with organizations as engineering consultants to help develop and bring their products to market through contract manufacturing and software design services. Our main location is in Dallas Texas only a few minutes from DFW airport. We also operate out of our international office in Lima, Peru providing outsourcing services primarily in software and hardware development. Dexa Resources started with a focus on environmental engineering and then moved into the developmental side of engineering. Dexa Resources is helping to engineer products today by making them smarter, more economical and more practical. Using smart integration and Eco-friendly techniques we are improving the environment and also helping engineer the next generation of software and products. Dexa Resources provides its services by combining combining five areas of engineering: Electrical Engineering, Computer Engineering, Mechanical Engineering, Computer Science and Environmental Engineering. Using knowledge in these areas we are able to provide innovative engineering solutions and solve complicated client problems. To become a prime design and engineering company offering impeccable customer service, the highest quality product development, high quality engineering and long term customer relations. Global business is a very important part of our company. We welcome global business opportunities and have several people on staff that have extensive experience working in the international business environment. Many of our services are available outside the united states and much of our services provide international clients with the proper tools to complete their projects.